If you have never checked out an actual post by Q (#QAnon)=THIS is a good one. It's a response to the left-wing, Communist Party of America (#DNC/#DemocraticParty) who (for some reason) think @POTUS #DonaldTrump should be impeached. 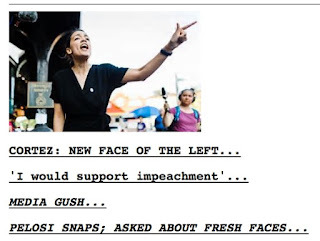 And, like Jackie Gleason would say, "How SWEET it is," that NY elected a communist to Congress; and now the media is loving her; and Nancy Pelosi is flipping out since the Commie is called, "fresh face of DNC/Democratic Party." If you are a Trump/Sanity/Logic/America fan=Sun Tzu LIKES that this shift to the extreme, far left is happening. 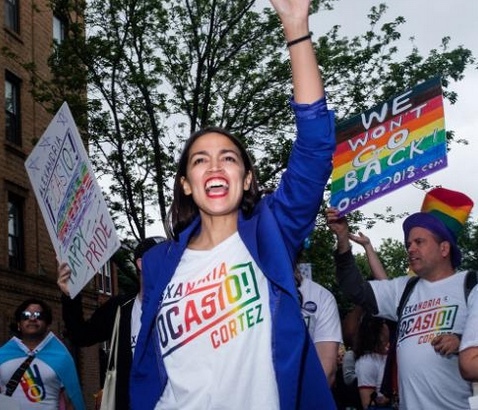 Not EVERY Democrap is THIS wacky. MSM = propaganda tool of the DEMOCRATIC party. POTUS economy - not good enough - IMPEACH. POTUS job creating (record) - not good enough - IMPEACH. POTUS GPD - not good enough - IMPEACH. POTUS fair trade (protect America) - not good enough - IMPEACH. POTUS manufacturing - not good enough - IMPEACH. POTUS record low unemployment - not good enough - IMPEACH. POTUS tax reform (more take home money) - not good enough - IMPEACH. POTUS save the world from NK - not good enough - IMPEACH. POTUS stock market gains - not good enough - IMPEACH. POTUS undo harmful regulations - not good enough - IMPEACH. POTUS boost US energy dominance - not good enough - IMPEACH. POTUS protect US homeland - not good enough - IMPEACH. POTUS combatting opioids - not good enough - IMPEACH. POTUS accountability (audit Pentagon, SC, re-org executive branch etc.) - not good enough - IMPEACH. POTUS protecting life - not good enough - IMPEACH. POTUS helping Veterans - not good enough - IMPEACH. POTUS peace through strength - not good enough - IMPEACH. POTUS restore confidence/respect of US - not good enough - IMPEACH. ………………..all while under constant attack. DO YOU NOT BELIEVE THE TRUTH IS SPREADING? DO YOU NOT BELIEVE THEY ARE LOSING THEIR SLAVE GRIP HOLD? 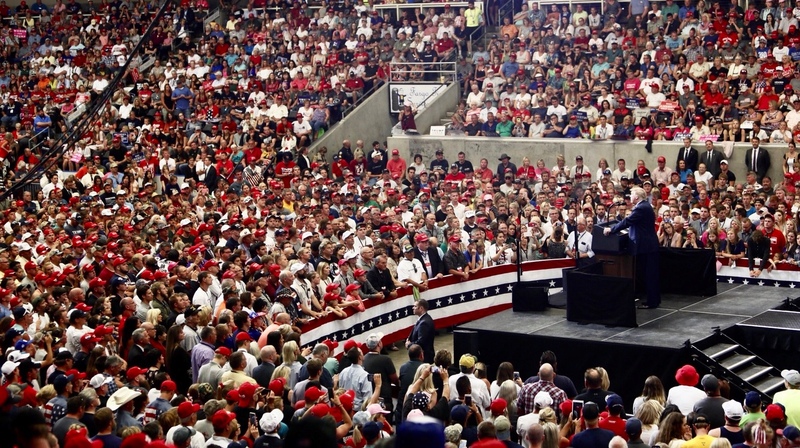 Meanwhile, here's a picture of his rally, that looks like the back cover of KISS ALIVE!!! Trump on his summer concert tour, like Rick Springfield, Def Leppard and Journey!